Since the HomePod comes from Apple, you might think you can only use it to stream music from iPhone or iPad, or from Apple Music, but that's not the case. 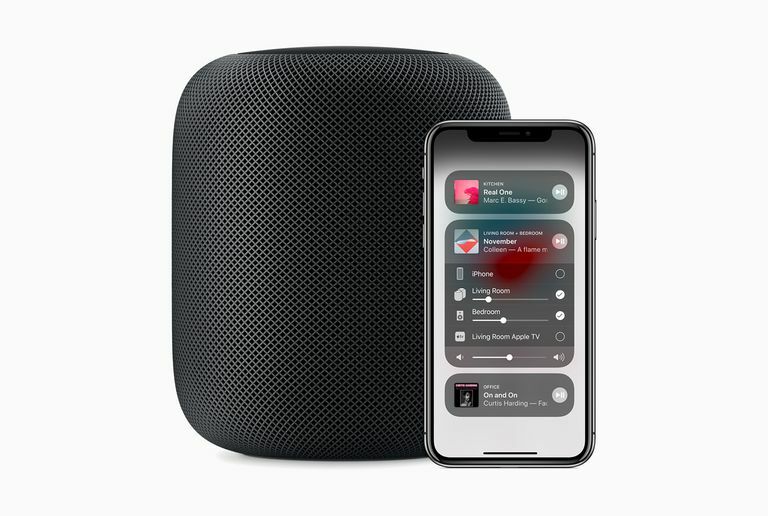 You can stream any music service that runs on your Apple devices to the HomePod. That means that you can stream music from Spotify, Pandora, Amazon Prime Music, YouTube Music, and many other services to your HomePod. How you use these services is a little different from how you stream music from Apple products and services. It requires a couple of extra steps and there's a key limitation, but it's easy to do and lets you enjoy any music on the great-sounding HomePod. The HomePod doesn't have built-in support for third-party music streaming, but you can get around that by using an Apple technology called AirPlay. AirPlay is a free technology built into every iOS device (and Apple TV and Mac) that lets you stream audio and video between compatible devices. Open Control Center. Swipe up from the bottom on most models. Swipe down from the top right corner on the iPhone X. Tap the two lines in the top-right corner of the music control. A list of AirPlay devices appears. Tap the name of the HomePod you want to stream to so all audio coming from your iOS device streams to the HomePod. Open the app you want to stream music from, begin playing music, and it will play through the HomePod. Open System Preferences in the Apple menu at the top left corner. Select Output if it's not already selected. Choose the name of the HomePod you want to stream to so all audio coming from your Mac plays to the HomePod. Check the box next to Show volume in the menu bar. This lets you select the HomePod from the menu bar audio control so you don't always need to use System Preferences. Play the music through an app or a browser, and it will stream through the HomePod. Streaming to HomePod is pretty simple, but there's one key limitation when you're using AirPlay and third-party services: No Siri support. One of the cool features of the HomePod is that you can speak to Siri and control what's playing with your voice. Simply ask Siri to play a song, and the audio begins playing with an active Apple Music subscription or music that's in your library. This isn't available when streaming via AirPlay. In this case, you have to use onscreen playback controls in Control Center or an app to control your streaming music. Using your voice to control the HomePod sounds pretty good, right? If you want to use it, you need to stream music from your music library or from Apple Music. Check out 134 HomePod Skills to Know for dozens of music-related commands to use with your HomePod.